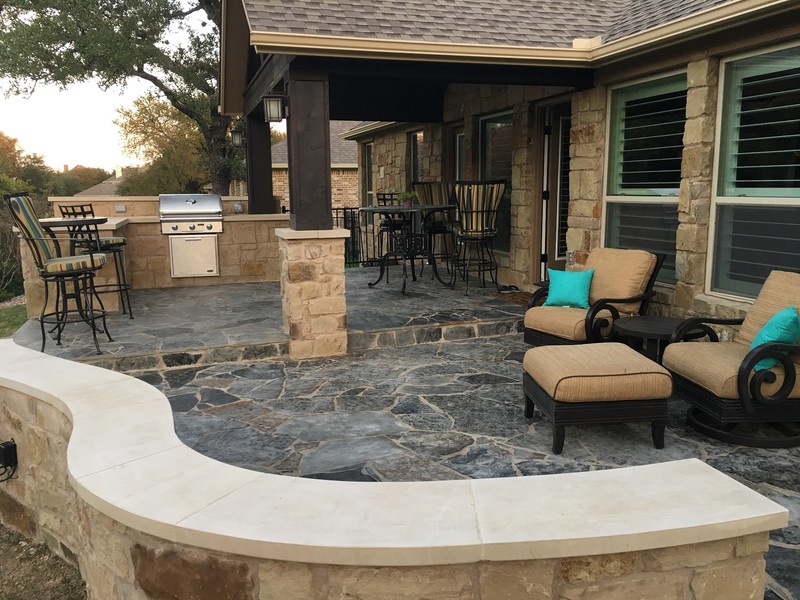 Don't just own that outdoor space — make it your own, like these Georgetown, TX, homeowners did! Picture this: you buy a home in an established neighborhood, and you love everything about it except, perhaps, the size or design of its outdoor living space. What to do? Call Archadeck of Austin for your outdoor living makeover, that’s what! Take this home and make it your own, inside and out. These homeowners in the Berry Creek neighborhood of Georgetown, TX, were in just that situation. The home they purchased had a covered porch at the back of the house. As a back porch it was small, and it was plain. Its floor was a simple concrete pad. Archadeck of Austin came to the rescue. Sometimes it’s difficult for homeowners to visualize the potential for improving an outdoor living space. It can be hard to see beyond what’s there, to picture what could be there! That’s the great thing about the Archadeck design consultation. 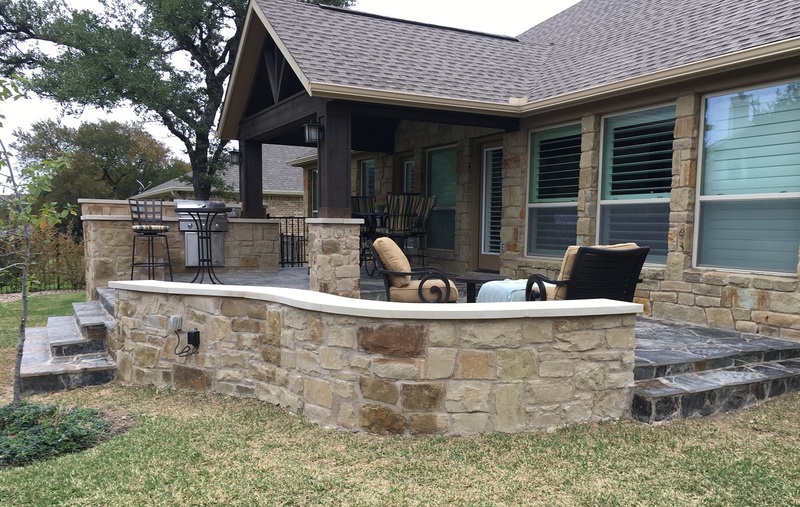 We meet with you, look at your current outdoor living space, listen to your ideas about how you want to improve it, and we offer some ideas of our own. Some homeowners know exactly what kind of space they want to create, and many benefit from bouncing ideas around with their Archadeck design consultant. We have designed and built such a variety of outdoor living configurations that we always have suggestions once we see your current layout. The important thing is that once you buy the house, we can help you design and build the outdoor improvements that will make it your own. We have an infinite number of ways we can help shape that vision and bring it to life. Often that involves expanding what’s already there: a bigger deck, a bigger patio, a bigger porch. 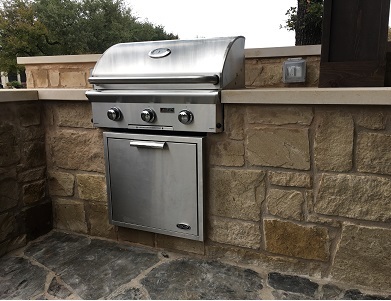 Other times it involves adding components that were “missing” — in this case, an outdoor kitchen. The first thing we did to redesign this Berry Creek back patio was to extend it by adding 550 square feet to its footprint. There was no reason to tear down the porch covering because it was sturdy and in good condition. You might notice that the porch covering no longer covers the entire footprint, now wider and deeper than its original layout. That’s okay! As a matter of fact, it’s desirable. These homeowners now have a covered porch and a patio. Now the homeowners and their guests have the option of sitting under the porch cover or sitting out in the warmth of the winter sun — or under the stars. Protection from harsh weather? Covered. Relaxing or dining in the open outdoors? Uncovered. The expanded patio area absolutely cried out for an outdoor kitchen (as did the homeowners! ), so we incorporated that missing piece into the new design. The outdoor kitchen area is tucked off to one side, out of the way but still very convenient for dining al fresco. At the other end, hugging the new patio area is a new stone seating bench with a smartly curved design. This bench instantly multiplies the number of people comfortably seated outdoors for parties and late-night gabfests. For any outdoor project these days, the variety of available building materials seems infinite. Materials selection is an area where a new homeowner can easily leave their mark. Here you have the opportunity to select colors and textures that speak to you — and for you. 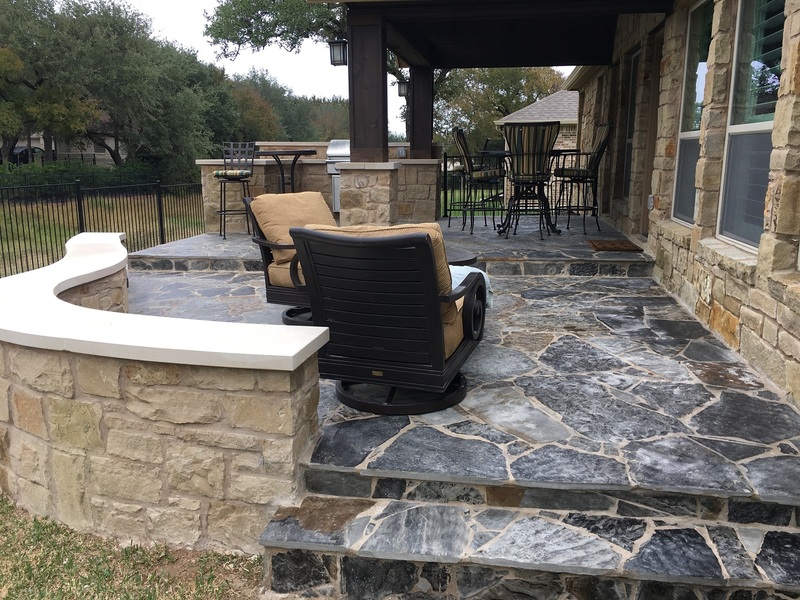 Here, for the new outdoor kitchen and seating bench, we found stone in a color called Oklahoma Autumn Blend that nicely matches the original stone of the home’s exterior. The homeowners, making this space their own, selected a beautiful flagstone for the porch and patio floor in Oklahoma Silver Mist. It’s a far cry from the original, simple concrete pad! This stone looks unique because it’s not used as often as some others. The colors are stunning, with a great deal of contrast, and more irregularities and undulation than some flagstones have. 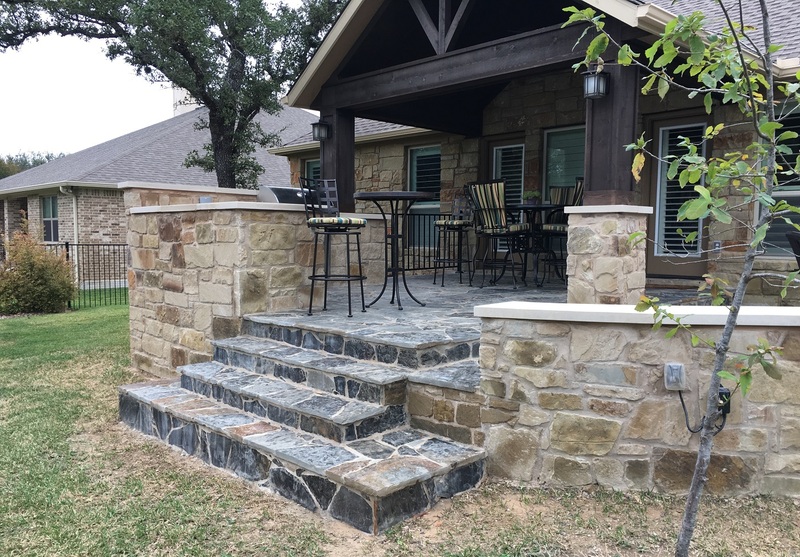 To round out this project, Archadeck of Austin designed and built some attractive flagstone steps leading from the porch and patio into the yard. We also added some trim along the edges of the original posts to give them more definition, and we restained the posts and porch beams. These small improvements make the porch cover look brand new. 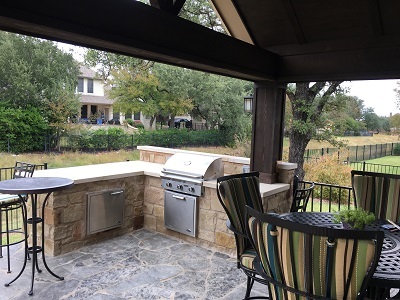 If you would like to learn more about how to make your outdoor living space your own, contact Archadeck of Austin today at (512) 259-8282 or via email at [email protected].